The children of the 21st century have grown up with tablets, phones, and computers as an integral part of their childhood. The question is, how is this unprecedented change affecting this generation? 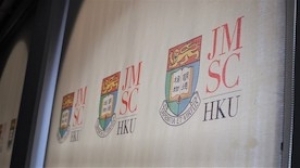 Knowing that the self-created limits on our reporters’ knowledge of multiculturalism and current events on the global scale may be holding us down, this summer, four Herald reporters sought to become better journalists by visiting Hong Kong. The research teams of Hyunjoo Lee and Nakwon Choi have collaborated to develop a multilayer microfabrication process called aluminum hard mask on silk fibroin (AMoS) that can micropattern wafers made of silk fibroins, metals, and dielectrics. 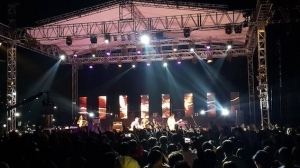 The lack of candidate applications in the Undergraduate Student Council Presidential Election held in November 2018 put the annually held KAIST Arts and Music Festival (KAMF) at risk. 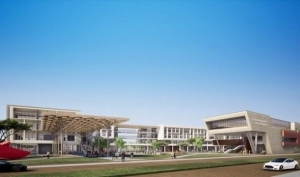 On February 21, an article by Chosun Ilbo reported possible plans for a KAIST-centered merger of the four national research universities in Korea: Daegu Gyeongbuk Institute of Science and Technology (DGIST), Korea Advanced Institute of Science and Technology (KAIST), Gwangju Institute of Science of Technology (GIST), and Ulsan National Institute of Science and Technology (UNIST). 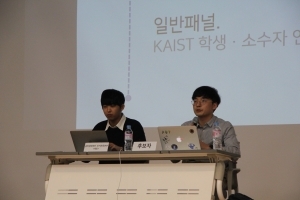 The upcoming resignation of KAIST Overseas Networking Exchange (KAIST ONE) organizer Osama Karkout has led International Scholar and Student Services (ISSS) to restructure KAIST ONE and the KAIST International Students Association (KISA) by merging the two bodies together. 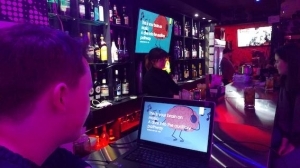 Sam Van Gele, an exchange student from the Swiss Federal Institute of Technology, has become the first Swiss KAIST student to present at Watering Ghost’s “Science on Tap” event. Van Gele presented on the topic of “Music and the Brain”, an area of research he was first exposed to at KAIST. The payment per hour for student service scholarships in KAIST has been increased, following the recent minimum wage increase of roughly 10.9% from 7,530 KRW in 2018 to 8,350 KRW, which came into effect from January 1. From now, undergraduate students can apply for a double major or a minor regardless of their academic credits acquired. The 33rd Re-election for the Undergraduate Student Council (USC) is in chaos after the Central Elections Committee (CEC) issued a disciplinary action statement against the election campaign, resulting in the forfeiture of the candidacy for Saero, the only candidate who had been running in the election. The KAIST campus is full of little surprises. For the new, especially international, students, finding out about the remote amenities of the school can be difficult. 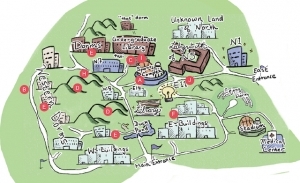 Here are the secret jewels of the KAIST campus that will improve the day-to-day lives of the students. For any questions, contact us on the KAIST Herald Facebook page! In a joint effort between the National Science Museum and KAIST, researchers have gathered to establish the Smart Science Museum Exhibition Research Group, which focuses on efficient exhibition guides using indoor GPS, augmented reality (AR), virtual reality (VR), Internet of Things (IoT), artificial intelligence (AI), and other core technologies from the Fourth Industrial Revolution.